The only South Indian festival to match the glitters of Diwali in North India, Navratri in Gujarat, Durga Puja in Bengal and Ganesh Puja in Maharashtra is Madurai’s Float Festival. 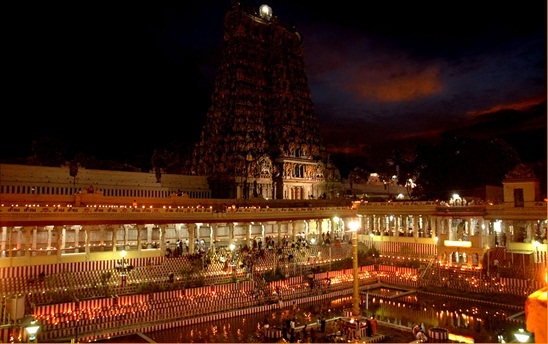 The festive vibe of Madurai, a temple town in Tamil Nadu, remains high during this religious ceremony on the full moon night between mid-January and mid-February. 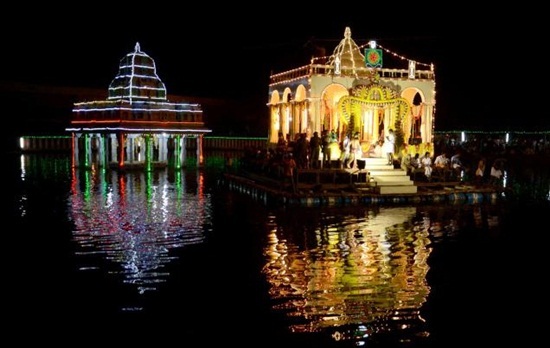 Unlike other religious occasions in South India, the rituals of the Float Festival are performed on waters of the Mariamman Teppakulam Lake in the backdrop of Meenakshi Amman Temple. The Float Festival was initiated by Thirumalai Nayak, the King of Madurai, in the 17th century. The principal ceremony of taking the idols on a boat ride across the lake on the occasion of the King’s birth anniversary came into existence after the King commissioned the construction of the lake over an area of 5 kilometers, with a grand palace on an island in the middle. Fed with water from the Vaigai River, the lake is to the east of the Meenakshi Temple. The Float Festival of Madurai begins with a spectacular procession of the embellished idols – Goddess Meenakshi and Lord Sundareshwarar – during the wee hours of the day. The deities are transported from the Meenakshi Temple to the Mariamman Teppakulam Lake in golden palanquins accompanied by musicians and devotees. Then, the deities are placed and worshipped in a makeshift mandap on the bank. The idols are prepared for boat ride on a raft-like structure lavishly decorated with garlands, flowers, lights, lamps and silken buntings. Tied to the float, two ropes are pulled by the cheering crowds of devotees. One rope is pulled by men on the island, and the other is by men on the bank, to draw the float for rounds in the lake. After some time, the float is drawn back to the island where the idols are kept till the evening. The devotees reach the island by boats and spend some time in worship of the deities. In the evening, the island temple is ostentatiously lit with colorful lamps and lights making the sight a mesmerizing one. The return of the raft with the idols from the island temple to the shore is marked by dazzling fireworks in the evening. The reflection of fireworks and lamps on the water makes the lake sparkle with splendors. Once the float reaches the shore amidst cheers and ceremonies, the idols are placed on an adorned horse for a procession back to the Meenakshi Temple. Unique to the celebration of the age-old custom initiated by the King and the celebration of his birthday, the Float Festival of Madurai is a spectacle of glitters and gleams. A frame of the Academy Award winning movie Life of Pie, directed by Ang Lee, captured the Float Festival of Madurai on screen. This year, the festival is to be held on Magh Purnima that is February 14. The holy bathing ceremony is observed on Magh Purnima in other parts of the country. 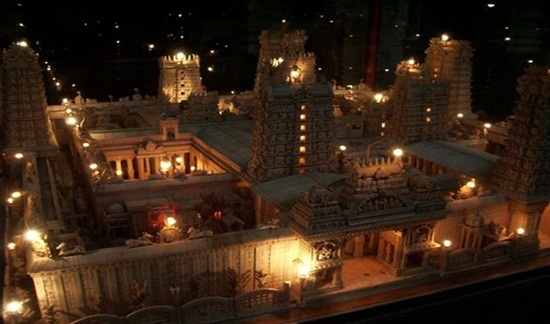 Madurai is a few hours’ drive from Chennai International Airport in Tamil Nadu. Check IndianEagle.com for the cheapest flight to Chennai or any other capital city of India.